Haydock Foundry 0-6-0WT ‘Bellerophon’ is rarely seen at the Railway these days having been on a long vacation to the Foxfield Railway in Staffordshire. Owned by the Vintage Carriages Trust, the locomotive was the subject of repair work last year carried out at the South Devon Railway, and is again gainfully employed at work at its current home. Last weekend was the Foxfield Railway Gala when the engine was hard at work with mineral wagons on the testing gradients that the railway is duly well known for. Regular contributor, Kenneth Baker, took leave from his trackside position with trusty companion, Penny, and traded the miserable Worth Valley weather for equally miserable Staffordshire. However, just like West Yorkshire, Sunday was by far a better proposition for the photographer and we are pleased to show Ken’s images of ‘Bellerophon’ pulling up the grade. 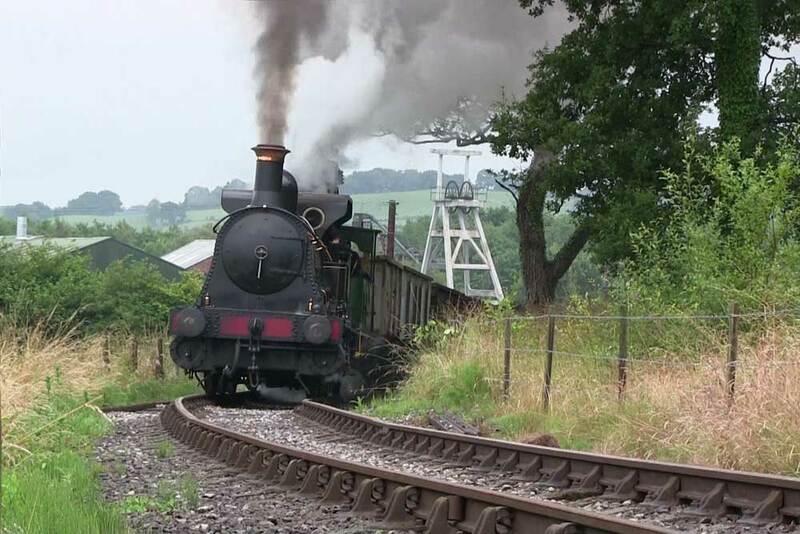 However, it is leaving the Foxfield Railway for a short time to visit the 2014 Steam Rally at Welland, in Worcestershire, on 24th to 27th July inclusive. The loco will be operating with a brake van on the site’s small standard-gauge railway throughout each day. This rally is the 50th one on this site and is thus a special occasion and VCT is delighted to be able to support the Ross & Wye Steam Engine Society on this great occasion. Vintage Carriages Trust have announced that their historic Haydock 0-6-0WT “Bellerophon” is to be an exhibit at the 2014 Warley Model Railway Show at the NEC on 22nd and 23rd November. 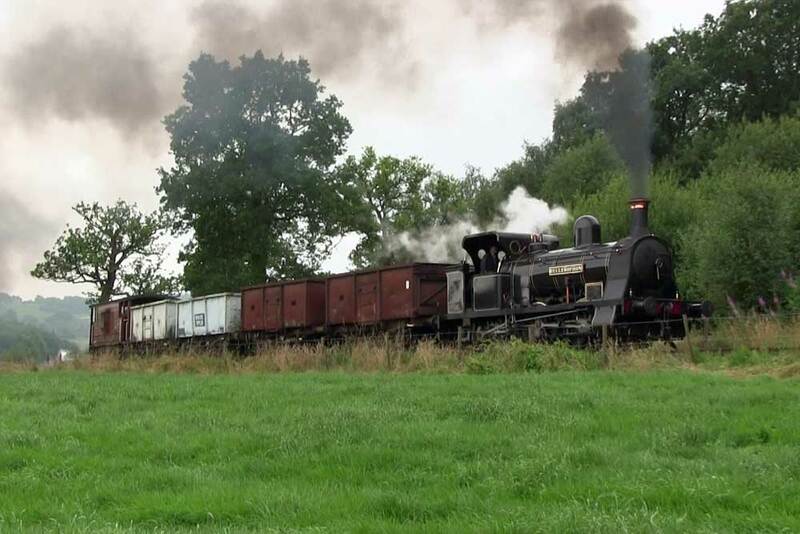 The locomotive will be exhibited along with the Foxfield Railway’s North Staffordshire Railway coaches Nos 127 & 61 to form an effective “early railway passenger train” for visitors to view and enjoy. 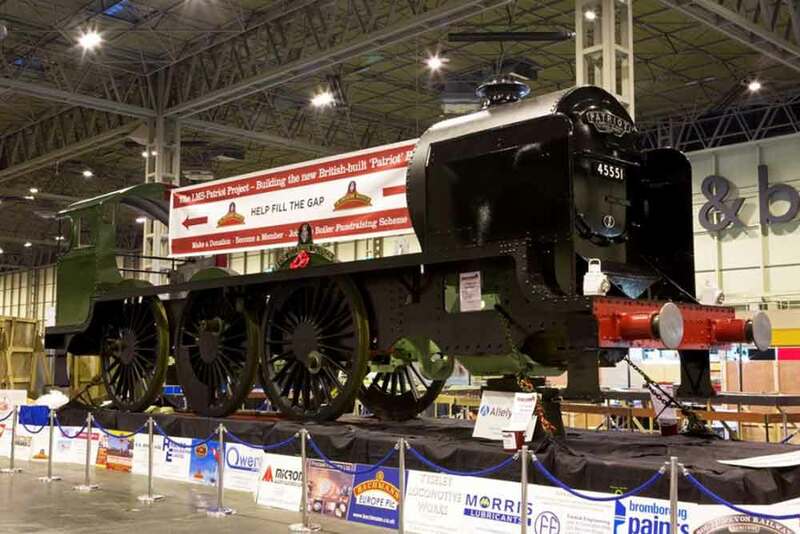 In 2013 the rolling chassis of The LMS-Pratriot Project new build LMS ‘Patriot’ Class 4-6-0 45551 ‘The Unknown Warrior’ was on display at this annual national gathering of railway modellers. Although rarely found steaming up the valley, Bellerophon is still very much a Worth Valley locomotive. Owned by the Vintage Carriages Trust (VCT) since 1981, this venerable engine, built in 1874, is currently a working engine on the Foxfield Railway in Staffordshire. Restoration was extensive as the locomotive, as retired from NCB service, was in a thoroughly worn out condition. The engine returned to steam for the first time since 1964 in 1985 and has achieved something of a celebrity status.